Dishwashers are in your home to make your life easier– right up until they stop working properly. When your dishwasher has a problem that creates hassle, you should never attempt to fix it yourself. 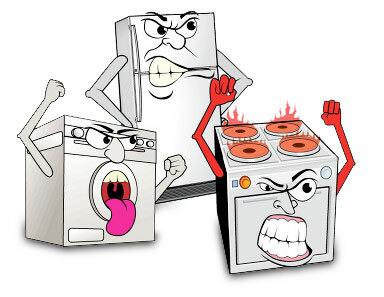 Dishwashers mix two potentially dangerous elements: electricity and water. You could hurt yourself or even make the problem worse. Let our team of experts help! At Central One Service, we are fully licensed and insured to precisely diagnose the problem and come up with a quick and efficient solution. We work with most makes and models of dishwasher brands and have a well-stocked inventory of parts to fix any problem. Stop washing and rewashing your dishes! Contact us now! For over 35 years, we’ve been providing outstanding repairs and service to Little Rock, Arkansas, and the surrounding areas. Click for our dishwasher experts! Dishwashers can have several issues that make your daily routine more difficult. If you start to notice that your dishwasher is exhibiting any of these signs, call Central One Service right away. The glassware is cloudy — Spotty or cloudy glasses might be an indication of a poor rinse cycle or hard water that would require a softener. The dishes are not adequately clean after the end of a full cycle — This could be due to a variety of issues including a blocked spray armholes, a burnt out heating element, or a worn pump assembly or wash impeller. The full wash cycle runs too long — If you notice that the washing process is running too long, it could be an issue with the timer or thermostat, which can prevent the cycle from advancing. The dishwasher doesn’t fill with water — This could happen for a variety of reasons including a faulty valve or a defective timer, inlet solenoid, or overflow float switch. The water will not drain properly — This can happen for a variety of reasons including a clogged drain line, a worn out drain line, or a malfunctioning drain impeller. The dishwasher is leaking — A puddle on your floor after each cycle can be the result of a stoppage or overfill. This is usually caused by a leaky pump assembly or a worn out door gasket, tub-to-motor gasket, or spray arm assembly. The leaking could also simply be caused by incompatible or too much soap. The washing cycle is very noisy — All dishwashers make some noise when you start them, but if it seems louder than necessary or if there are loud grinding noises and banging, it could be caused by a variety of factors including a clogged water inlet valve or a faulty heater fan. Contact us for Dishwashing Machine Repair! The common problems associated with your dishwasher could be caused by many different things that the untrained eye cannot see. Contact us to take a look!